Not matter what bar countertop, company reception counter or home counter top, counter display give people first impression about the place. Design a creative counter top can meet with individual requests and needs in collaboration with company and bar features. Company reception counter top typical adopt the simple color design. Generally, the designer utilizes a number of back-lit LED Light Sheet to illuminate translucent material. The translucent material could be onyx, granite, glass or plastic material. Traditional warm white color offers a visitor a comfortable feeling. 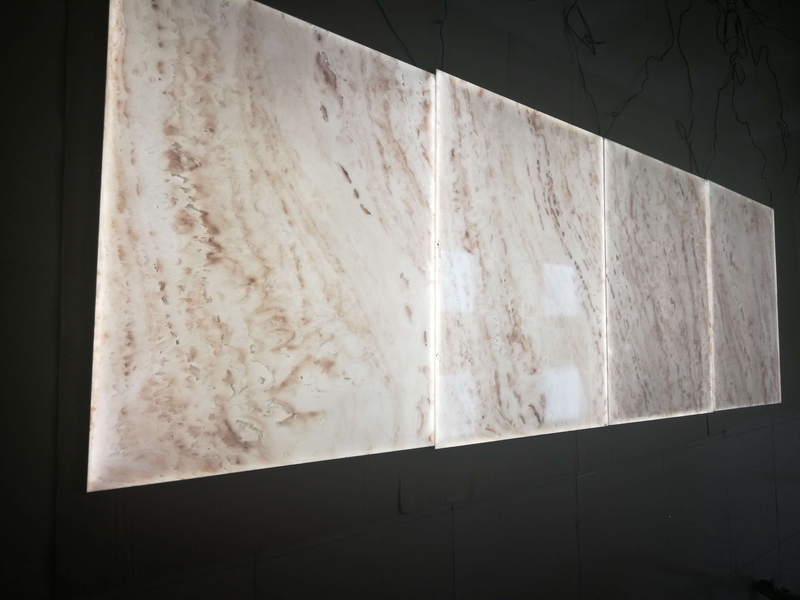 If you want to counter to be more special, you could combine with translucent of natural stone including onyx, marble, granite and alabaster to provide visually impressive circumstance and are suitable for a multiple type of commercial interiors design. Lighting plays a vital role in the bar design and style. There is no doubt that bar countertop is the most important place in the bar. Traditional bar counter top design could not satisfy with clients and bar owners’ demands. They are searching a unique design and completely new bar counter top. Lighting counter top is a perfect solution, it creates a mysterious and attractive ambiance. Today, many bar counter top designer apply the back-lit LED light panels on the bottom, subsequently, installing thin veneer of stone or translucent material in order to illuminate the bar counter and environment. Consequently, the combination successfully creates an innovative element replacing the rigid counter top. When we talk about home counter bespoke design, it is important to understand the desired mood as lighting can change atmosphere from radiant excitement to subtle calm at a flick of a switch. The lighting home counter top maximum offers a peaceful and relaxing moment. You can fully enjoy your home time. As the LED light panel manufacturer, we would like to work with designer and constructional team for the best solution for your particular requirements, and assist you to achieve the result you want. We don’t simple offer lighting units, we provide a lighting solution for your products and design. We believe if the moment is missed, the chance is wasted.